Citizens National Bank Cedar Park Branch President Jeff Baker has proudly been a community banker since 1993. Baker holds a graduate degree from the University of Wisconsin’s Graduate School of Banking, as well as a BBA in Finance from the University of Texas at Tyler. 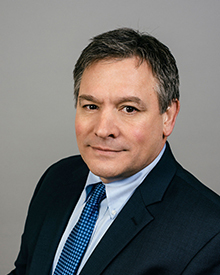 After over 26 years in the industry, Baker has acquired personal experience in a number of areas including commercial lending, commercial real estate lending, general real estate lending and small business banking. During that time, he’s developed a number of long-lasting professional relationships by cultivating an environment of trust, service and cooperation with both customers and co-workers alike. When working with Baker, you’re working with someone who is truly invested in your future success. At CNB’s Cedar Park Branch, you’ll find concierge business banking services and guidance for companies of all sizes. Jeff Baker encourages you to reach out and schedule a meeting with him to see how CNB can best serve your particular banking needs. After all, he says, “all great relationships begin with a conversation”.